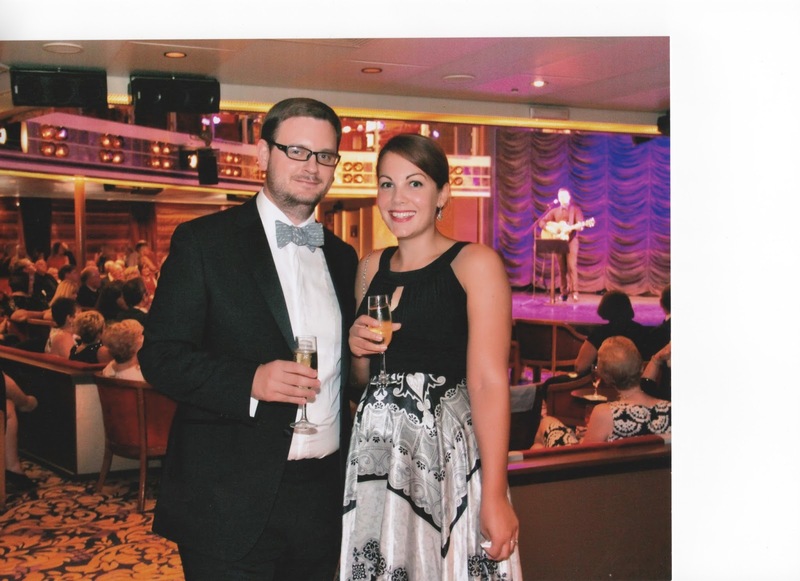 This summer we went on a cruise with my family to celebrate my parents' retirement. 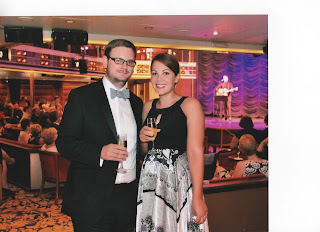 It's not that often as a family that we get to be really dressed up but as there was a captain's dinner on the second night we all agreed that we would go all out and my dad and husband would wear their tuxedos. 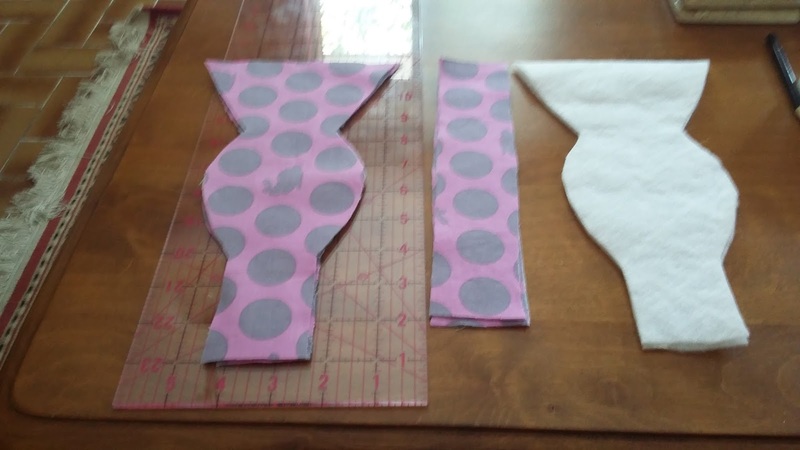 My husband doesn't have any bow ties of his own and has always borrowed one if he needed one, so wanting to practice my sewing skills I suggested I make him one. At this stage I only had a few bits of material, all of which could be described as 'jazzy', especially for a bow-tie! However the thought of wearing something jazzy has never worried him before (unfortunately!) and he especially liked the idea of having rabbits on it - to remind him of our bunny back home. I googled how to make a bow-tie and there were a lot of websites with instructions . The one I found the easiest was this one. We didn't have a printer set up then so I made my own pattern based on those instructions using tracing paper and masking tape and measuring his neck. The first time I made the bowtie I made it in two different pieces (the bow and a long straight piece) but this made it hard to conceal the joins and looked messy. 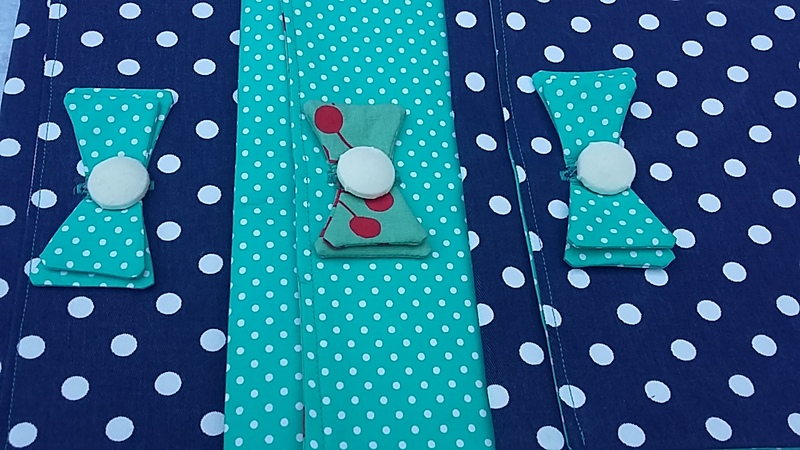 The photo below is from the first attempt but in the second try the bow and the longer piece of fabric were joined together. The second time around I cut out four pieces of fabric and two pieces of interfacing. I was please by the shape of the bowtie and my husband said he would be happy to wear it but as it was for a formal occasion we thought it might be nice to have the option of a smarter one. So after browsing around a material shop nearby I made him a second one in a grey material which he ended up wearing on the cruise. For someone who had never worn a proper tie-up bowtie I think he did a good job. It would be unfair of me to say how many youtube tutorials and hours spent tying and retying it took him!